November 10, 2017…Hendersonville, TN. Every year during the months of November. to Jan, the Sumner Food Bank is in dire need of more food than ever. 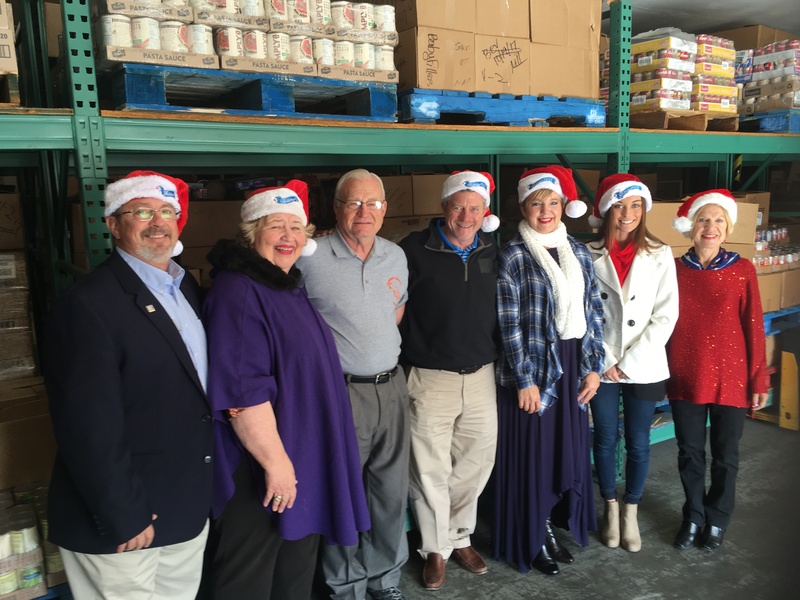 This year for the third year, Holidayfest Board announced that the HolidayFest events which benefit local charities, will ask ticket holders to all bring canned goods to each event. Every sponsor of Holidayfest and Holidayfest events sponsors will have donation Boxes placed at their Business locations “We are very excited to help the Food Bank during the holidays and as a Sponsor of Holidayfest, we are planning to have an in-house competition with our employees in filling our donation boxes” said Anita Martin, Human Resources Manager at Windham Professionals. “Kathleen Hawkins and Kim Myers will have boxes placed at Hendersonville Chamber of Commerce, and Gallatin Chamber of Commerce and we will also put them at City Hall in Hendersonville and in City Hall in Gallatin. These locations will help the public have easy access to make donations all during the season” said Larry Phillips, President of Holidayfest. Mr. James Downy of Sumner Food Bank said “The Food Donation Boxes will be delivered to the following Sponsors locations and the Sumner Food Bank will make scheduled pickups of the boxes during these critical months. The public is encouraged to start dropping food at any of these locations starting next week and to deliver all the way until Jan. 2018. 166 B East Main St.